(HARLINGEN) – Jose A. Trevino is a Building Construction Technology student at Texas State Technical College. 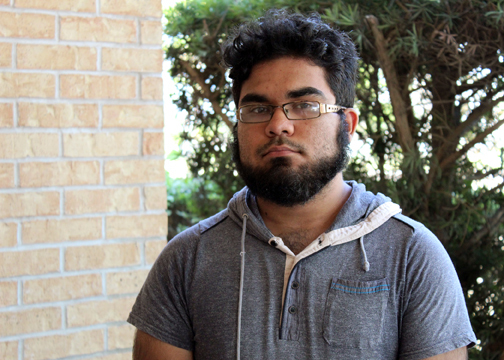 The Brownsville native expects to earn his associate degree in Spring 2020. Trevino said right after high school he enrolled at a local four-year university, but ultimately withdrew because he felt out of place and unfulfilled, so when he found TSTC and the building construction program he knew he had found his place. After I graduate I want to find a job in my field, either in the Rio Grande Valley or in Houston, and gain experience in residential construction. I want to grow within a company and become a project manager or construction site supervisor and eventually realize my dream of opening a residential construction business and a carpentry shop building furniture. The best decision I have ever made was coming to TSTC, which in turn has allowed me to achieve good grades in a field that I love. The greatest lesson I have learned is that over thinking my next move isn’t always a bad thing. It is sometimes a challenge because I get easily distracted with my thoughts, but sometimes it really helps me plan ahead and motivates me toward new ideas. Who has had the most influence on your success? The person who has influenced my success the most is my Veterans Memorial High School carpentry teacher Mr. Ted Carver. He is the one who advised and encouraged me to check out TSTC’s building construction program after I left the university. Because of him, I am where I am today. My advice for future TSTC students is to choose to do what you really love, be prepared for class and keep an eye on your goal. Finish college and start your career.